Water clarity doesn't always indicate clean water as bacterias are an unseen contaminate with incredible destructive power. 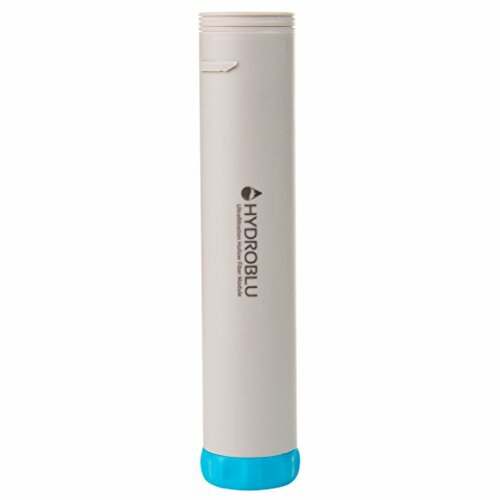 Our Standard Hollow Fiber ultra-filtration membrane filter is built to remove 99.999% of bacteria. Through size exclusion hollow fiber surpasses EPA standards and will last up to 10,000 gallons. Dozens of tubes have microscopic holes (0.1 microns), which allows clean water to pass through, but creates a barrier to damaging bacteria, Giardia, E. coli, protozoan cysts, Cryptosporidium, and more. At any time, this filter can be cleared out from any sediment or contaminants that have blocked the holes by backflushing. Simply run clean water through the outflow side of the filter. This will increase the flow and effectiveness of the filter, as well increase the life of the filter. Removes 99.999% of all bacteria, such as E.coli, salmonella, and cholera. It also removes 99.999% of all protozoan cysts, including giardia, cryptosporidium and other protozoa.